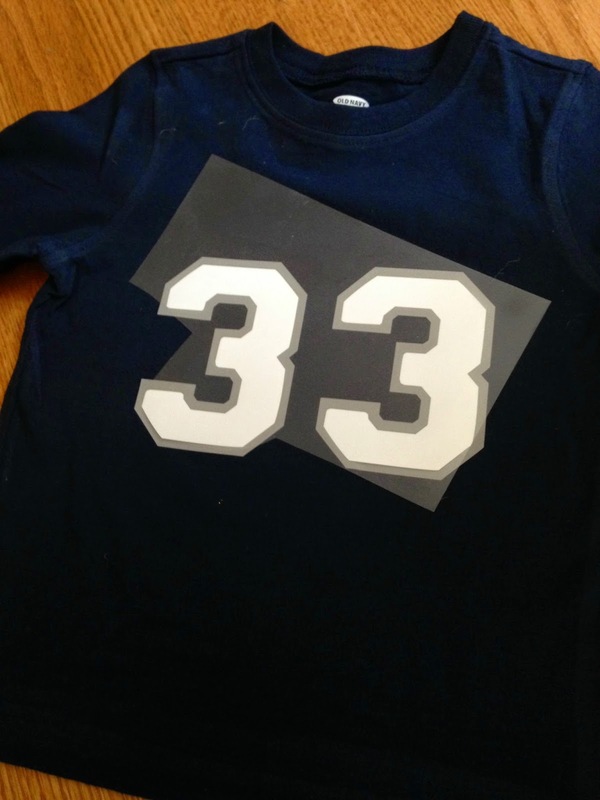 Did you ever spend a bunch of money on a team jersey for your kids only to have them outgrow it by the end of the season? Or maybe you splurged on a jersey for yourself or the Mr. and the player whose jersey you have got traded to the rival team the following year. 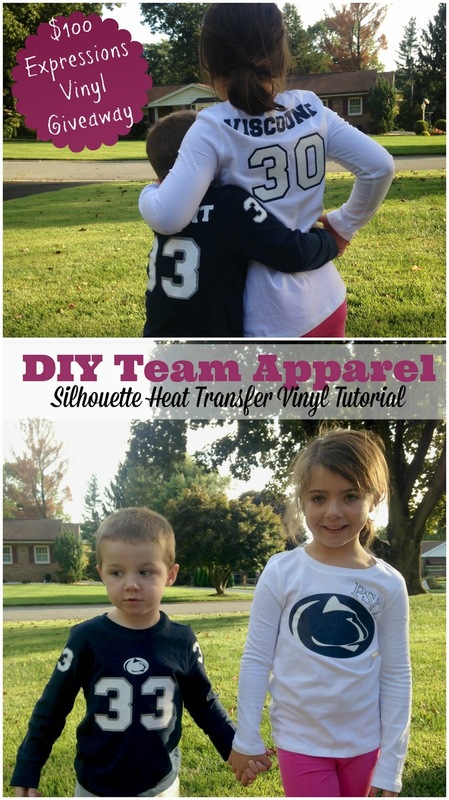 Enter...DIY team apparel. Making your own team team gear can not only save you a bunch of money, but also allow you to personalize it just how you want it. 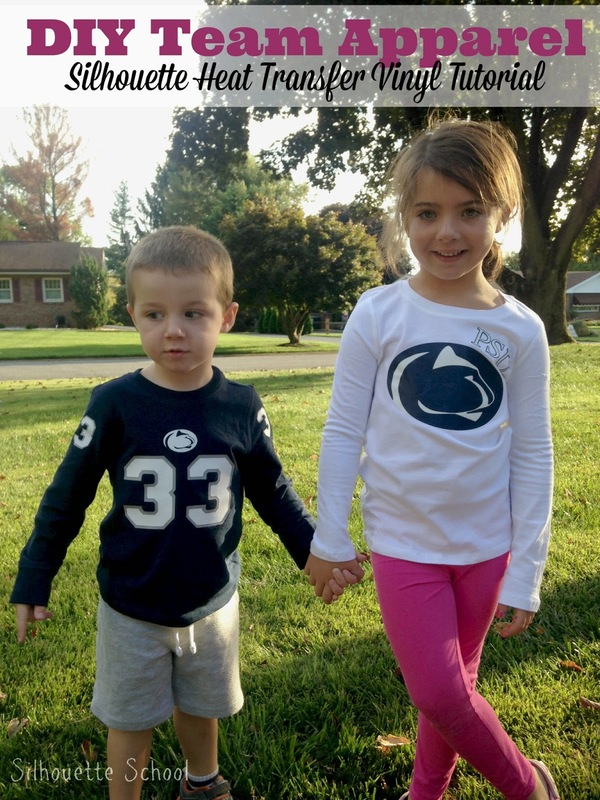 I made some Penn State shirts for my kiddos and didn't spend more than $10 on either shirt. The vinyl is from Expressions Vinyl. A 12x24" sheet of navy, gray, and white, plus a 12x20" of glitter white was plenty for this project and I had some left over. The shirts didn't take me long to make either...maybe an hour total. If you have a heat press let it warm up while you are working on your design. If you have an iron, you can wait a bit to turn it on. 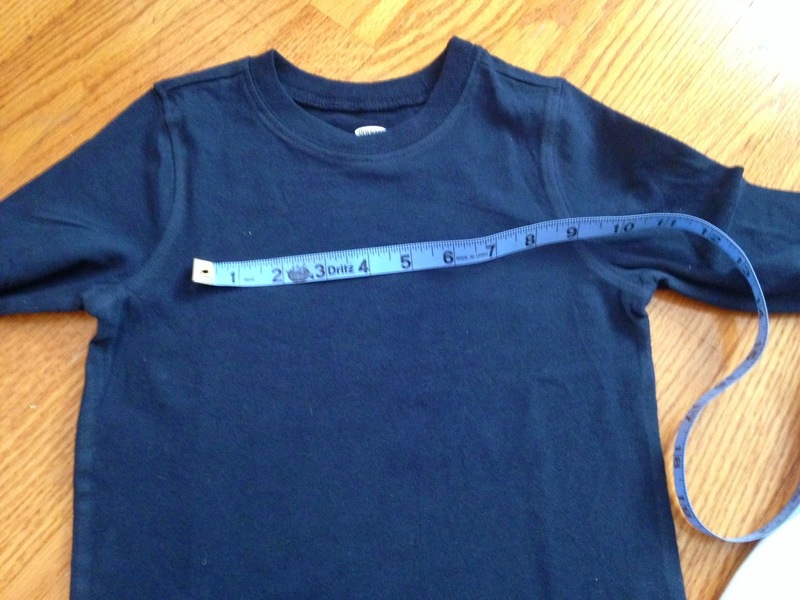 Measure your shirts to see how large the designs need to be then open up Silhouette Studio and get to work. 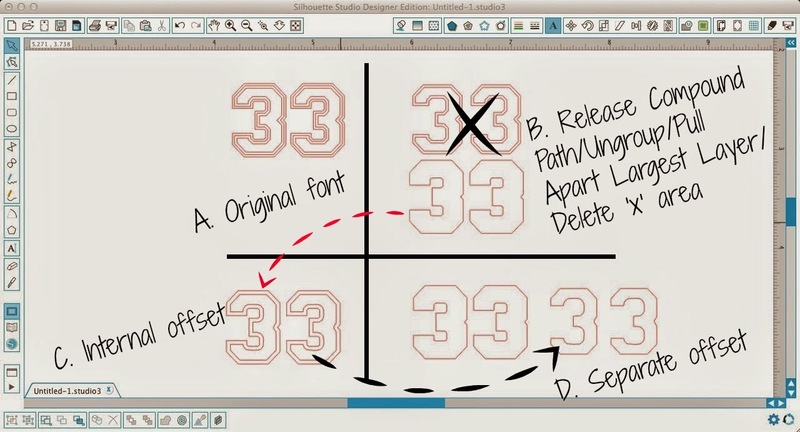 I used the font Collegiate Heavy Outline for all the lettering and numbers (A). The font has a bunch of layers and offsets to it which I didn't need. I typed out my numbers (Class of '30 and '33) and then released the compound paths and ungrouped so I could pull out the largest outline (B). The rest of the text was deleted. I then made an internal offset (C) and moved the offset away from the original design (D). From here on out I filled in the layers so you could more easily see. The top layer is red and the bottom or outside layer is gray. When I'm layering HTV I like to actually have all of my layers touching the shirt instead of laying on top of each other. I think it reduces the bulk and you get a better stick. To do this I need to cut out the top red area from the bottom gray area....to move the top layer onto the bottom layer. Select them both and from the MODIFY window click "Subtract All." When you pull the layers apart, this is what you are left with. This is all well, fine, and good, but there is no wiggle room and if your layers are off even the slightest big you'll be able to see the shirt peeking through. So what I like to do is create an offset around the top layer. Select the top layer (red) > Offset. Now you can delete the original top layer and use the new offset as your top layer. You can see here that the small gray area between is the only overlap of the two layers of vinyl. The names were cut out of the same font but without all the layers. I released the compound path and just used a single layer without any offsets. 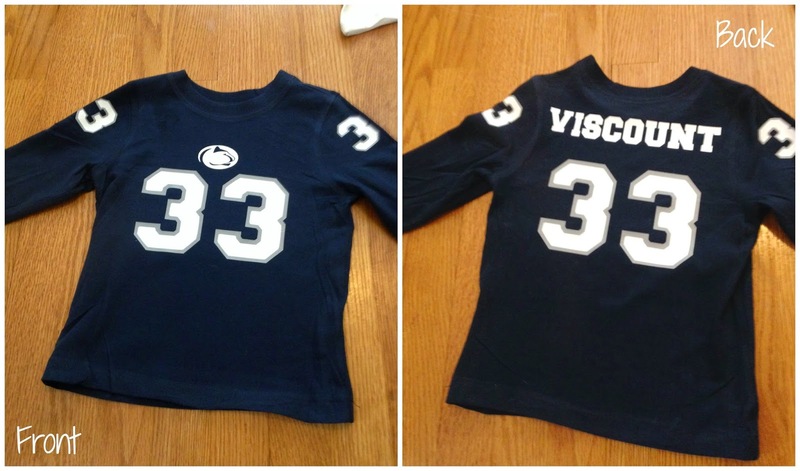 The PSU logo on my daughter's shirt was created using the trace tool. I duplicated the trace and then release the compound path to get the 'internal' areas so I could cut them on glitter white to have it peeking through the blue. Once your design is all ready, you can get ready to cut. After I cut and weeded all of my layers designs, it was time to apply. I used my heat press to put on the HTV. An iron works, too...just takes longer and you'll need to be sure to add a lot of pressure. For heat press times and temps you'll need to look at the manufacturer's suggestions. Siser Easyweed calls for 305 degrees for 10-15 seconds. If you have two layers, like I do, put the first layer on for half the time, peel off the carrier sheet, add the second layer and press again for the remaining amount of time. Once the entire design is applied, I always flip my shirts inside out and press again from the inside to draw in the HTV. And here's a close up of the white glitter HTV on my daughter's shirt. 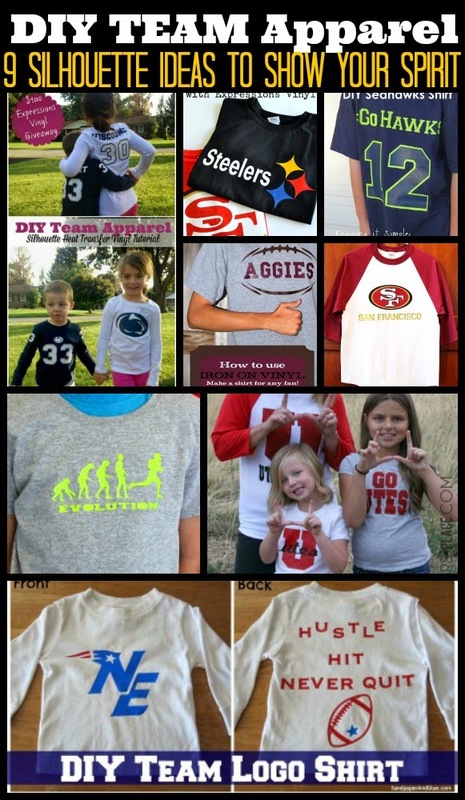 And here are a few more fun ways to make custom team shirts! Any suggestions for a heat press? I do not make things that often, but it could because it takes so long with an iron. 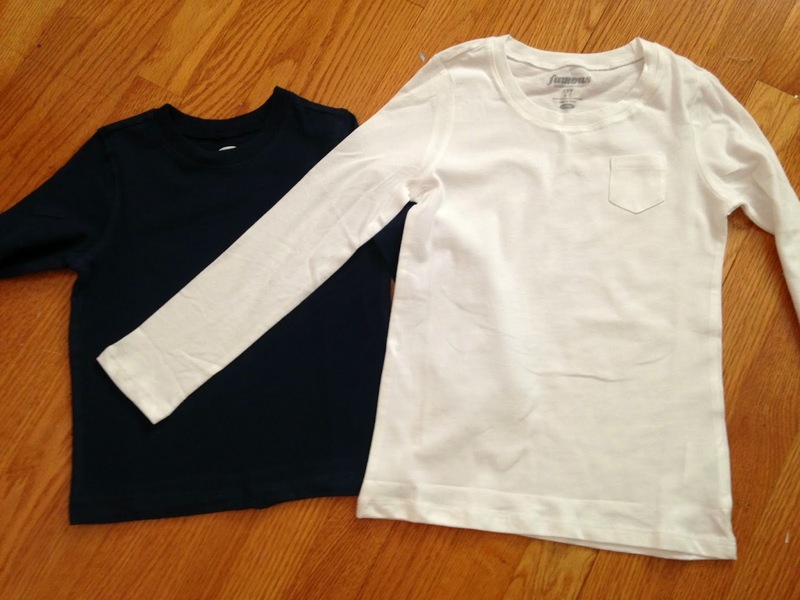 After heat pressing the designs on the top of the shirt, how long do you usually press it inside out? Thanks for sharing! I hope to get my silhouette out of the box tonight. It's so intimidating but you are giving me courage lol! How do you size lettering for the names on backs of shirts for a whole team? For example, I have a a 4-letter name and a 10-letter name for the backs of team bball jerseys. The 10-letter name obviously has to be much smaller to be able to fit. So what I did was fit most names (except the really short ones) to the width of my mat. But now that they're cut, they look all mismatch and the mid-length names look like I could have made them bigger =( Any tips? Thank you for this wonderful blog! It is SO incredibly helpful for almost every question or problem I've run into! 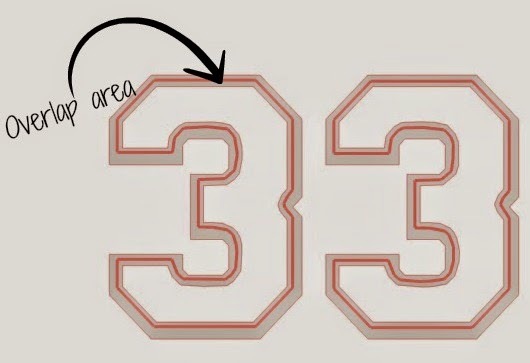 And I have read through your sizing/placement post for the fronts of shirts.